would this workshop work well if I am an acrylics painter. I’ve never dabbled in oils whatsoever. Oil properties are different in the do not dry out as fast and can do more wet-on-wet blending. Will I need oil paints of my own or are the provided? 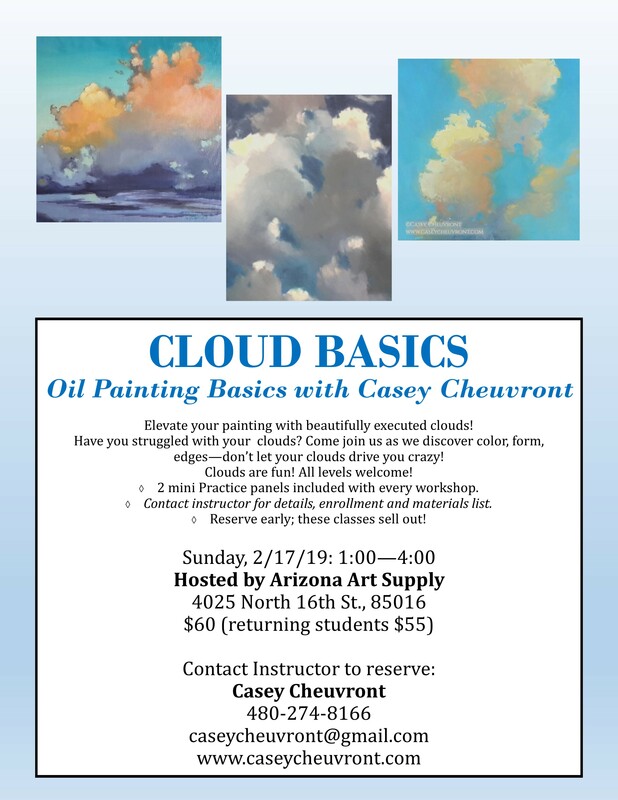 Also, will the lessons be applicable to cloud creations in acrylics? Thank you for your interest in our class and, these are all great questions! I do know the instructors don’t provide supplies unless it’s a type of demo.The rest of the information you need to contact Casey about. Please contact her for more info by email at [email protected] Thank you!